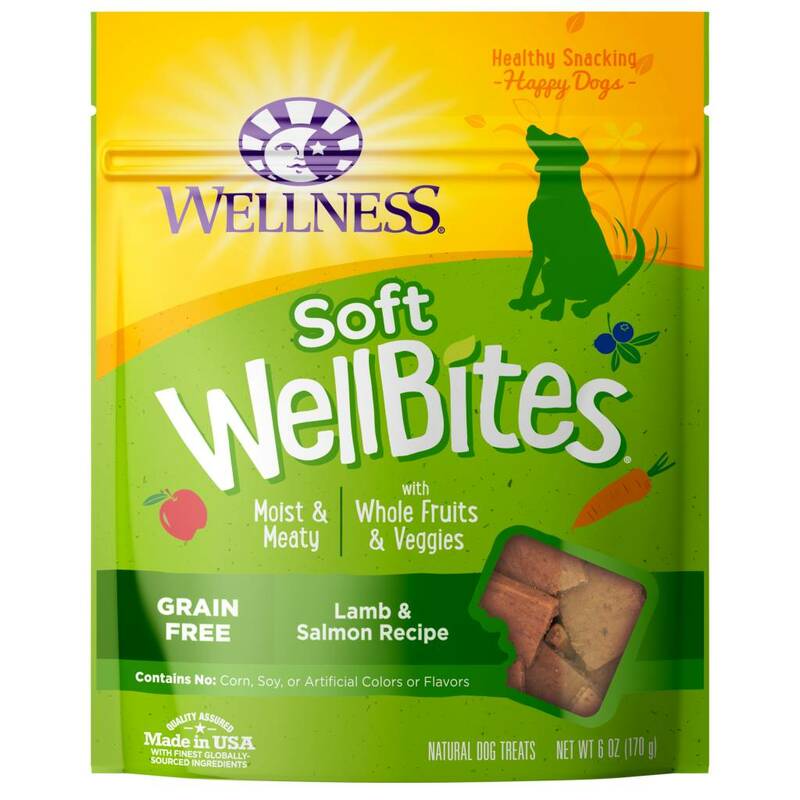 Home » Wellness Wellbites Soft Snacks Lamb/Salmon 6oz. Wellness Wellbites Soft Snacks Lamb/Salmon 6oz. Wellness WellBites are delicious, grain-free, all natural, soft dog treats that are made in the USA with the finest globally-sourced ingredients.